NOTE: Steve Corbo, is a veteran of more than 35 years in the boxing game, has been a co-host and color commentator for televised boxing events, as well as a professional boxing judge. He has worked with professional boxers in a variety of capacities, and has written several articles on boxing that have been published in various periodicals. He has made his mark as a top boxing ring announcer, especially in Europe, where he announced major WBC, WBA, IBF, and WBO World Championship title bouts televised worldwide. Harold Lederman, Boxing Hall of Fame member and a part of HBO Boxing’s broadcast team, called Steve Corbo “one of the best boxing ring announcers in the entire world.” A Chicago native, Steve has also been heard as the backup PA announcer for the Chicago Blackhawks NHL hockey team. I will always remember this fight because I was there, at ringside, close enough to reach out and touch Cleveland Denny. 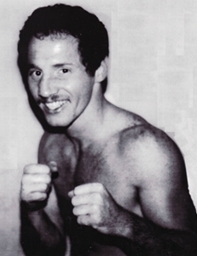 In the late 1970’s my friend Johnny Lira was the USBA Lightweight Champion and one of world’s top rated lightweights. 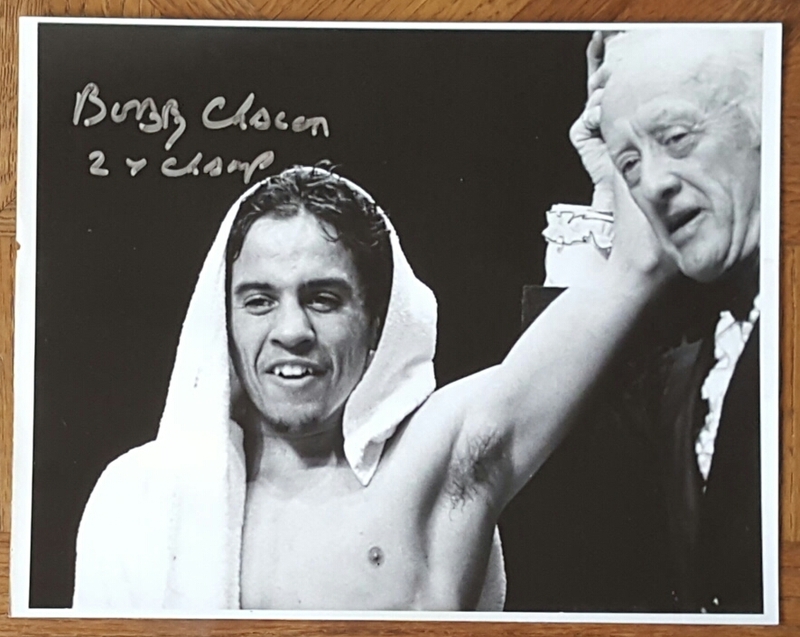 In ’79 he lost in his bid to capture the WBA World Lightweight Title. A year later, Ring Magazine had him rated #5 in the world , he was looking to get back into the mix and get another shot at the title. Johnny was going to fight Gaetan Hart on the undercard of Sugar Ray Leonard vs Roberto Duran, up in Montreal. 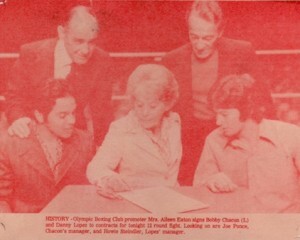 The bout was scheduled for June 20,1980. But they weren’t able to make the fight and Cleveland Denny wound up in the ring facing Hart, instead of Lira. Johnny, myself and Mauro DiFiore decided to go up to Montreal anyway and see the show. What a show it was, taking place at the Olympic Stadium and in the same city where just four years earlier Sugar Ray Leonard won a Gold Medal in the 1976 Olympics. Johnny was on top of his game so we were with Angelo Dundee, Wilfredo Benitez, media guys like the dean of all boxing historians Hank Kaplan, etc. We were surrounded by boxing royalty. We had no tickets, but somebody hooked us up and we got in on some TV/Radio Press Passes! We had no assigned seats! I ended up sitting in Leonard’s corner, on a folding chair I picked up from someplace, next to Joe Frazier. We talked about his son Marvis, who was an amateur at the time, and had just won the National’s. Eddie Shea . . . The BEST Fighter NEVER Crowned? The following article was written by Steve Corbo and originally published in Fra Noi, Vol. 55, Issue 12, December 2015. Reprinted here with permission of Fra Noi. www.franoi.com Copyright 2015. I am pleased to report that Steve Corbo, a guest writer who often contributes to this website, recently returned from Germany, where he was the Ring Announcer for a couple of title fights. The main event, on July 11, 2015, was the WBA Heavyweight Championship Ruslan Chagaev (34-2-1 / 21 KOs) vs. Francesco Pianeta (31-2-1 / 17 KOs) at the GETEC Arena in Magdeburg, Germany. Gina Rodriguez is a Winner! She has been called “This Television Season’s It Girl”. She just won a Golden Globe Award for “Best Actress In A Television Series Musical Or Comedy”. She just had a full page picture of her, with her Golden Globe and that winning smile splashed across the pages of People Magazine! She’ll be on the cover of the March 2015 issue of Latina Magazine. Gina Rodriguez seems to be everywhere, riding high on a wave of success based on her portrayal of Jane Villanueva in the hit TV series “Jane The Virgin”. And quite frankly… it couldn’t happen to a nicer person! She’s bright, articulate, she hasn’t forgotten her roots and she’s a role model. 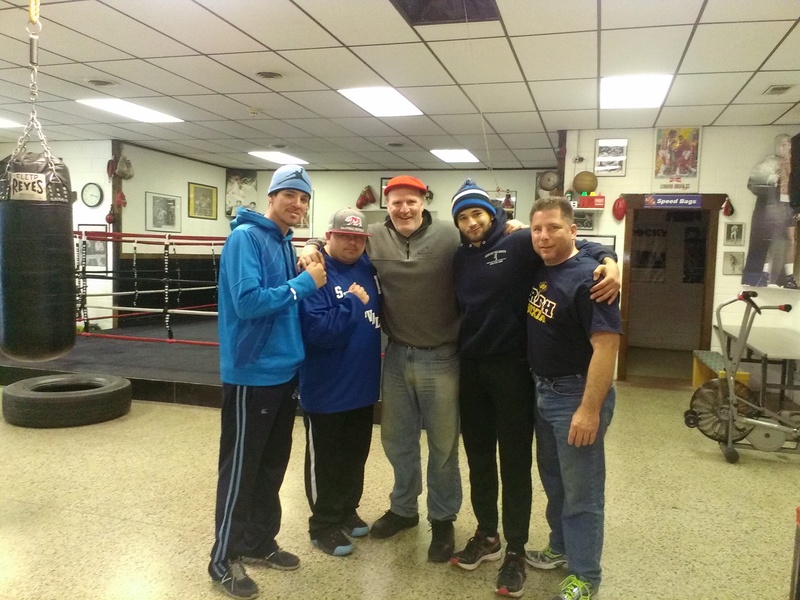 Veterans Park District’s Leyden Boxing Gym in suburban Chicago was the scene of some hot and heavy action last week as a couple of undefeated fighters from the West Coast got in some work with a spirited sparring session. Roger Romo from Oxnard, California brought his professional record of 5-0-3, and a wealth of experience, into the gym to work with Tacoma, Washington’s Mike Gavronski, who sports a professional record of 13-0-1. In addition to having worked with the likes of Sergio Martinez and Kelly Pavlik, Romo has grown up in boxing as the younger brother of two time world champion Fernando Vargas. A year later, Ring Magazine had him rated #5 in the world , he was looking to get back into the mix and get another shot at the title. 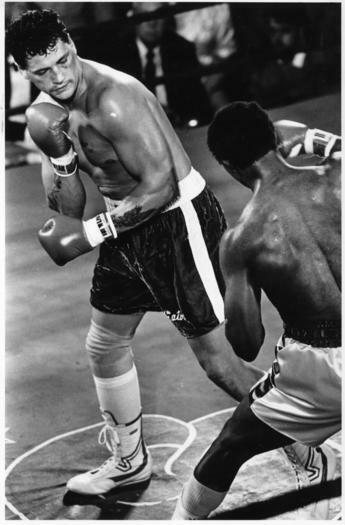 Johnny was going to fight Gaeten Hart on the undercard of Sugar Ray Leonard vs Roberto Duran, up in Montreal. 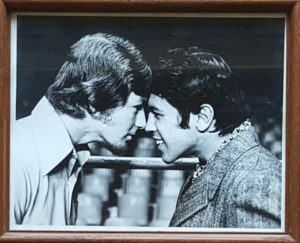 The bout was scheduled for June 20,1980. But they weren’t able to make the fight and Cleveland Denny wound up in the ring facing Hart, instead of Lira. Johnny, myself and Mauro DiFiore decided to go up to Montreal anyway and see the show. What a show it was, taking place at the Olympic Stadium and in the same city where just four years earlier Sugar Ray Leonard won a Gold Medal in the 1976 Olympics. Johnny was on top of his game so we were with Angelo Dundee, Wildredo Benitez, media guys like the dean of all boxing historians Hank Kaplan, etc. We were surrounded by boxing royalty. We had no tickets, but somebody hooked us up and we got in on some TV/Radio Press Passes! We had no assigned seats! I ended up sitting in Leonard’s corner, on a folding chair I picked up from someplace, next to Joe Frazier. We talked about his son Marvis, who was an amateur at the time, and had just won the National’s. As my last article was about to be posted, I received some additional sad news. Another friend from Chicago boxing circles, former Cruiserweight Contender, Craig “Gator” Bodzianowski passed away in his sleep, Sunday July 28. He was 52 years old. 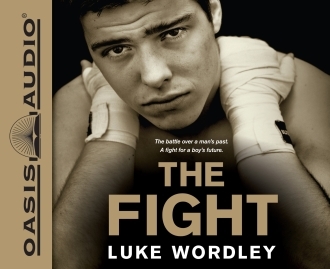 Incredibly, Craig gained his greatest success as a boxer, becoming world ranked and then fighting for a world championship title, after losing part of his right leg in a 1984 motorcycle accident and while fighting with the use of a prosthetic. He turned pro in 1982, after winning a Chicago Golden Gloves title and ran off 13 straight wins, 11 by way of KO. Then disaster struck. While riding his motorcycle he was involved in a collision with an automobile, resulting in the amputation of his right foot and a portion of his leg. After a year and a half layoff he returned to the ring and went on to make history. 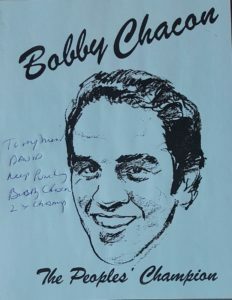 In 1986 he stopped current boxing promoter Bobby Hitz, in the 3rd round, to capture the Illinois State Heavyweight Championship. In 1987 and 1988 he fought former WBC World Cruiserweight Champion, and fellow Chicagoan, Alfonso Ratliff with the Illinois State Cruiserweight Title on the line. Both times he dropped, razor thin, majority decisions. How close were these two fights? According to boxrec.com, The Illinois Boxing Commission appointed the same three judges to work both fights. All three judges scored both bouts identically. After watching these two guys go 20 rounds with each other, one of the judges still had it even! Johnny Lira and Lenny LaPaglia R.I.P. In December, 2012 I lost a good friend, Johnny Lira, to liver disease. He campaigned as a lightweight back in the late 1970’s and early 80’s. At one time he was the WBA’s #1 rated lightweight in the world. He also won the USBA lightweight title in spectacular fashion when he knocked out the undefeated Andy Ganigan. Nicknamed the “Hawaiian Punch”, Ganigan had a record of 25 – 0, with 23 wins by KO and he was looking to keep busy, while waiting for a shot at then champion, Roberto Duran. Johnny seemed a safe enough tune-up, he was only 14-0-1 with 8 wins by KO. The smart guys figured he’d go a few rounds, give Ganigan a little work and in short order become KO victim number 24. But the smart guys never could get a handle on the tough kid from Grand Avenue on the west side of Chicago. Lira got his shot at a world championship in front of a home town crowd, when he took on WBA Lightweight Champion Ernesto Espana in 1979. The fight was televised on the old ABC Wide World of Sports with Howard Cosell calling the action. What a fight it was! Cosell called it even after five. Lira knocked down the champ in the seventh and it looked like he was going to put him away. But Espana fought back hard. That’s what champions do! Lira was dropped near the end of the 8th, then suffered a severely lacerated right eye and picked up a broken jaw. The ringside doctor stopped the fight after the ninth round. There were more ring wars to come. 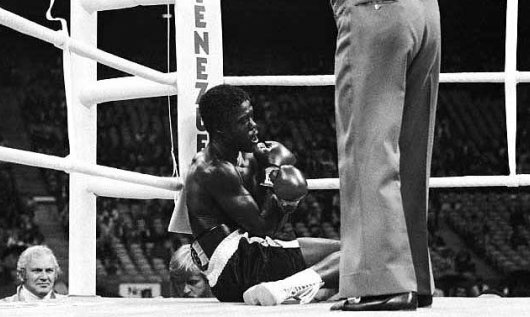 After Espana, Lira’s career included losses to Willie “Fireball” Rodriguez, Howard Davis, Jr. and Alfredo Escalera. There were also wins over rugged Bobby Plegge, Al Ford and Sammy Matos! Lira finally hung up the gloves in 1984 with a record of 29-6-1 with 15 wins by KO.